(Newser) – A Detroit-area sewer crew's find has left police with a gruesome murder mystery. The workers found what cops describe as "a dozen softball-sized pieces of a body," ABC reports. Police say the body parts are Caucasian but it's not clear whether they are from a man or a woman. 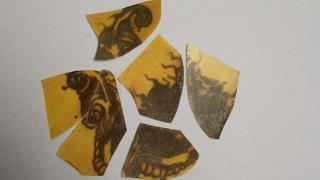 They are trying to identify the body from a tattoo found on some of the parts. "We can't tell what it's a tattoo of, but there are two pieces that match up—it's like a puzzle and we don't have all the pieces to it," a police spokesman says. Probably just a poor person. Homeless, jobless, on food stamps and medicaid. In short no one of importance. We probably just saves a few bucks on food stamps and medicaid by his death.That can't be bad.